Apple's new iPad is here, and AppleInsider takes a first look at it to see how well predictions about the hardware stack up to reality. The new iPad is to the iPad Air, as the iPhone SE is to the iPhone 5s. 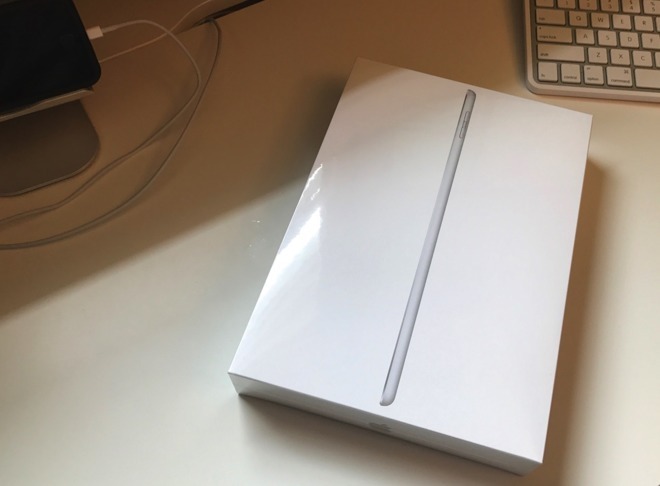 That being said, let's delve a bit into our first impressions of Apple's latest iPad. As expected and predicted, the new iPad is a speedster. The benchmarks using Geekbench 4 that we, and other users, have obtained are a bit faster than expected. The new iPad hits 2410 in the Geekbench single-core performance metric, climbing to 4095 in multi-core. For comparison, the 9.7-inch iPad Air 2 from 2014 has a Geekbench single-core score of 1782 and a multi-core rating of 3992. The late 2015 i5-6600 iMac 27-inch Retina Display has a single-core score of 4840 with a multi-core score of 13,082. The early 2015 MacBook with 1.3Ghz Core M processor is a close analog benchmark-wise, and edges the new iPad out slightly in both single core and multicore performance. The density of macOS, for lack of a better term, flattens out the real-world performance on the Retina MacBook makes this more or less an even heat. We expected that the performance would be around the iPhone SE given the architecture, and that's exactly what we got. We'll be delving into the real-world ramifications of that in a full review a bit later. For all the talk of the new iPad being Apple's nod to the entry-level, it has all the attention to detail that you'd expect from an Apple product. Edges are tight, and assembly points are well-aligned. Interestingly —and this is for the Apple old-timers —there's no "new Apple smell" with our new iPad, nor from iPads received by a few other people we spoke to. This likely speaks to something, but we're not sure what at this point. With an identical size and shape to the iPad Air, you'd think that cases from the older model would be fine. They mostly are, but some things don't line up right. 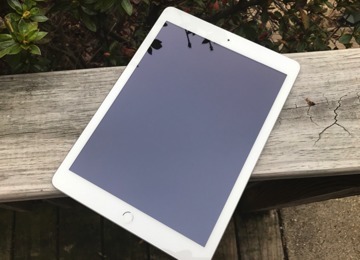 There's no physical lock switch on the new iPad, and the speaker holes extend a bit further on the new iPad than most cases have holes for —but otherwise, even form-fitting protective cases like the Newer KX pictured here work just fine. We don't have an Apple Smart Cover on hand to see if the sleep/wake functionality is retained from iPad Air cases —but we will in time for the full review. We've had the new iPad out of its box for all of an hour at this point. 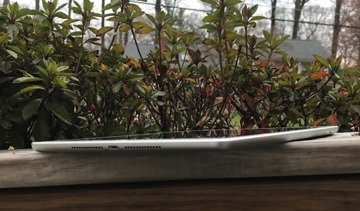 Look for a full review and a video examination of Apple's latest iPad offering coming soon.